Remember the game Guess Who? Let's break it out for a minute. Does your person write impressively complex dance music? Does your person blend said music with unique samples and live classical and jazz musicians? Does your person love laser sounds? Was your person the great-nephew of John and Alice Coltrane? Did your person write a good portion of the interludes I hear on Adult Swim? Is your person Flying Lotus? 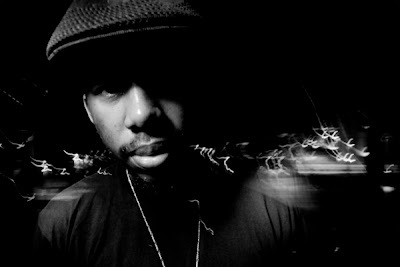 Flying Lotus, or FlyLo for short, is the kind of artist who I find it very hard to write about. He defies genres at pretty much every step. I've seen him labeled as Intelligent Dance Music (IDM) but I don't think anyone really takes that label seriously, particularly the artists who tend to receive it. I want to say FlyLo is making jazz music for our time, blending electronics with an improvisational approach and playing with the rules of music as we know them. Somehow that still doesn't cover what I hear on his albums. Pattern+Grid World is an EP that FlyLo dropped about a month ago. Compared to recent previous releases this album comes off a little more electronic, trance-y, and sparse, though sparse in this case still means a whole lot going on. Here's track 2, "Kill Your Co-Workers:"
It's a nice, mellow EP, and a good introduction to Flying Lotus if you're not familiar. If you like what you hear, head back in time and grab some of FlyLo's full-length albums. I highly recommend 2008's Los Angeles to start. Oh, you want to hear a track or two from that record? Let me oblige you. And here's a nice collaboration from full-length Cosmogramma, which was just released last spring. Now go forth, my children, and multiply (your music collections).